The Pickering Switching Solutions group of companies, Pickering Electronics and Pickering interfaces, are leaders in the design and manufacture of high-reliability reed relays and PXI, PCI & LXI signal switching solutions. Pickering Electronics was established in 1968 by John Moore to supply high-quality reed relays for use by Original Equipment Manufacturers (OEM) in switching systems. In 1988, Pickering Interfaces debuted when, after more than two years of development and research, they introduced their first complete modular switching system. Specified in businesses throughout the world—our high-quality products help to get your latest technology to market more quickly. Below you will find infomation on each of the companies. Pickering Electronics has been designing, manufacturing and distributing Reed Relays for 50 years and supplies some of the smallest Reed Relays available today. 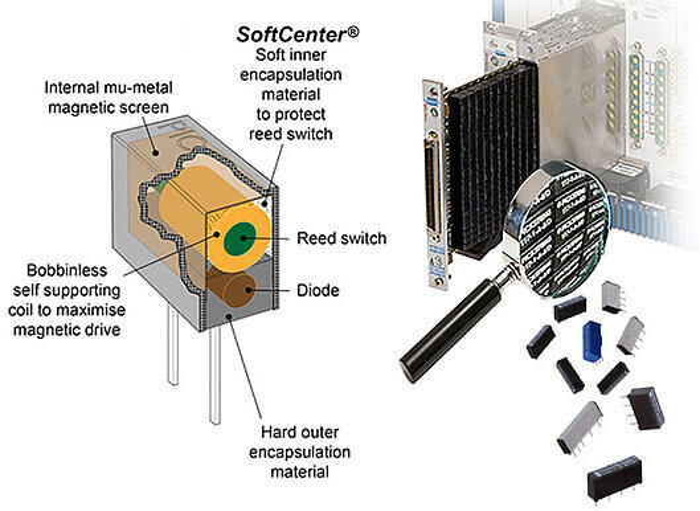 By using only, the highest quality instrumentation grade reed switches and our unique SoftCenter® technology, our relays provide many advantages over the more usual hard moulded construction. Pickering relays are sold worldwide to companies within the automotive, telecoms, medical, aerospace and defense industries designing technologies for Instrumentation and Automatic Test Equipment (ATE), High Voltage Switching, Low Thermal EMF, Direct drive from CMOS, and RF switching. To learn more about our high-quality Reed Relays please visit www.pickeringrelay.com or email sales@pickeringrelay.com. 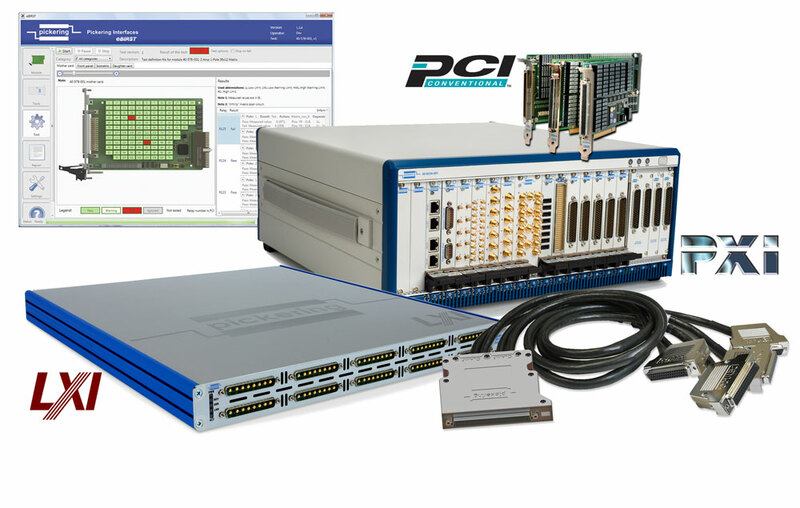 Pickering Interfaces designs and manufactures modular PXI, PCI & LXI signal switching and simulation for use in electronic test and verification. We offer the largest range of switching and simulation products in the industry. To support these products, we also offer cable and connector solutions, diagnostic test tools, as well as our Switch Path Manager signal routing software and software drivers. Through to standard and precision programmable resistor switching networks for sensor emulation. Our products are specified in test and measurement systems installed throughout the world and have a reputation for providing excellent reliability and value. We operate globally with direct operations in the US, UK, Germany, Sweden, France, Czech Republic and China, together with additional representation in countries throughout the Americas, Europe and Asia. We currently serve all electronics industries including, automotive, aerospace and defense, energy, industrial, communications, medical and semiconductor. For more information on our signal switching and simulation products or to contact us, please visit www.pickeringtest.com or email sales@pickeringtest.com.